Mark Martin is the founder and CEO, Martin Consulting, a Dubai-headquartered aviation consultancy firm. Based out of both Dubai and New Delhi, Martin is acknowledged as one of the most insightful and neutral commentators on aviation developments. "Clearly, Indigo is a 'revenue machine' that is on a turbocharger and revved up to take on the best of the best," Martin tells Shelley Vishwajeet. At the time IndiGo entered the Indian sky, it had acquired a reputation for being the 'graveyard for private airlines' with nearly 14 private airlines hitting the ground between 1991 and 2006 within less than five years of average existential span! Against this backdrop, what were some of the key things that IndiGo did and the competition did not, which led to its meteoric rise, making it the leader of Indian sky? India's airline business has seen a lot in terms of changing market dynamics and granted, some of it is due to the Indian government's policies and the environment that we've been in. IndiGo commenced operations in 2006 when market conditions weren't the most conducive with competition and the rise in jet fuel prices. And closer to 2009, the global financial meltdown practically destabilized every economy including India's. ii. Break-even in the airline business and especially for low-cost airlines takes between three to five years, so you need to stay focused with the business, and most importantly. iii. Always listen to what the traveller wants from a service and give that to them. That's what IndiGo did, and this pretty much is exactly what some of today's most successful airlines continue to do, such as WizzAir, AirAsia, FlyScoot, Tiger Air, Lion Air, Batik Air, Southwest Airlines, JetBlue and Alaska Airlines. IndiGo's positivity and passion to thrive were clearly infectious and that energy spread to other LCCs at the time -- GoAir was one of them. Do you think IndiGo has what it takes to retain its leadership position in the coming ten years or so? IndiGo has had its fair share of hits and misses. Its worst was when it commenced flights to South East Asia, a region that is clearly dominated by some of Asia's 'heavy-hitter' low-cost airlines that'll do anything to fiercely safeguard their region. IndiGo did suffer a bloody nose in the bargain with reducing flights and eventually had to pull out of destinations. The IndiGo of today isn't the 'local-fun-Indian-sleepy-turn-infor-the-night' airline of 2007, with a daily utilization of 9.5 hours per aircraft. But the good side of failure is that it teaches one a lot with learnings from what it did wrong and what should one do to get it right. And that is what has made IndiGo what it is today. The IndiGo of today isn't the 'local-fun-Indian-sleepy-turn-infor-the-night' airline of 2007, with a daily utilisation of 9.5 hours per aircraft. IndiGo 2018, with an average daily utilisation of over 13 hours, is a harsh, ultra-lean, mean, zero asset, fighting machine with aspirations of taking on the global long-haul low-cost market. Clearly, it is a 'revenue machine' that is on a turbocharger and revved up to take on the best of the best. As IndiGo shall soon migrate to long-range aircraft for its long-haul low-cost business, I expect that the immediate aim of the airline would be to centre its energy on where the global Indian Diaspora is; and along with that, continue to stay invested and focused while ensuring that routes turn profitable. What would be some of the bigger challenges in the coming years that IndiGo needs to focus upon? 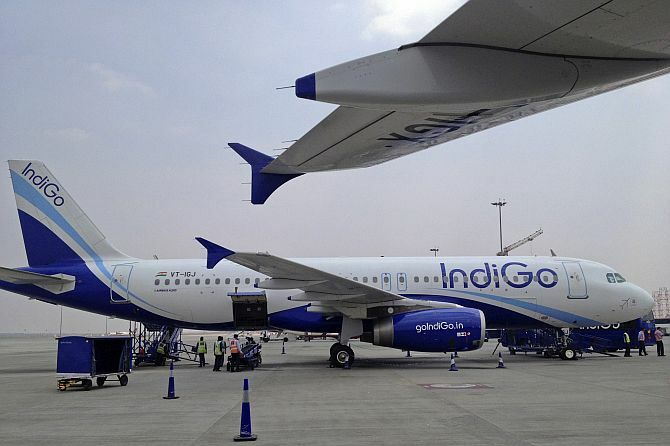 The biggest challenges for IndiGo as with any airline are three; the first being the cost of jet fuel and oil prices, the second being competition, and the third being credibility and reputation. The aviation business can be both very good to you and extremely ruthless if you are not careful. All it takes is one air crash to wipe out five years of reputation built to one's credit. Having said that, I won't be too worried about IndiGo; the airline today has a product and consumer appeal that is second to none and a commitment for reliability and efficiency that has withstood the test of time, so this should work fairly in the airline's favour. What I would be concerned about is the external risks, and in the pecking order comes fuel, currency, foreign policies on India and stability within India's economic and political fabric. Do you think issues like A320neo engine nags and rising fuel price could impact its operational, profit and reputational dynamics? Whenever a radical, new technological platform is introduced with aviation, it has come at the cost of stabilisation and transitional issues. We must be glad and relieved that unlike the 1980s and the 1970s, we haven't seen an air crash or a major catastrophe as a result of it. When the Airbus A320 was launched, the aircraft was complex to the level that pilots took time to understand that aircraft and as a result of that learning, the industry saw close to six crashes. 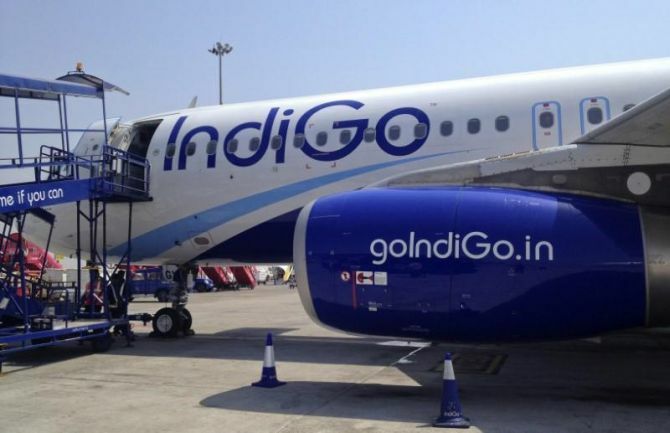 IndiGo has it good at the moment because as we know, 'liability cover and compensation for technical glitches' is something that is covered in the engine purchase contract. The problems with the PW NEO engine come from the high utilization of at least 13 to 14 hours a day, and operating in extremely hot and humid conditions. That clearly has taken a toll on the power plant, and this is something that IndiGo can't be made accountable for. This is a phase and this too shall pass as soon as P&W comes up with a better modification and upgrade for the PW1000 engine. Fuel prices are a concern, but there are offsets here as well. For starters, we must understand the logic of how fuel is factored in, and that is everytime you have a plane full of passengers, you fill fuel and its implied that the fuel's been paid for; so in short, it's the travellers who pay up, and cover the airline at whatever rate it is at on the option market. That leaves the actual pressure on profitability, which for IndiGo would have to be well-articulated and structured, from a long-term perspective. Mr Rakesh Bhatia has several other business interests, though many of them like the hospitality business compliment the airline business. Do you think diversion or spread of time and interest could impact the management of the airline in the coming years? Bhatia has clearly developed a very viable and workable strategy that has made his core companies, InterGlobe Air Transport and InterGlobe Technologies, what they are today. That is identifying the right person for the right job, and not placing in executives that are 'available'. We've seen this happen several times in the company's history. The IndiGo of 2018 isn't the IndiGo of 2007. The quality and level of skill set needed to take the airline global as well as right into India's grassroots hinterland will clearly need leaders that have stood the test of time, seen failures and have won from them as well. I'll be blunt with that -- those skill sets don't exist in India. In times to come, we would see newer and more astute global managers take the reins of IndiGo's key strategic roles and in turn, work towards bringing it all together in perfect synchrony and harmony. Is it a good idea for IndiGo to venture into regional space/regional aviation? Should it be done with the IndiGo brand name or does it need to opt for a different brand identity for its regional ambitions? If IndiGo wants to be the true blue 'air transport enabler', it has to embed itself in nearly every tier of air transport. 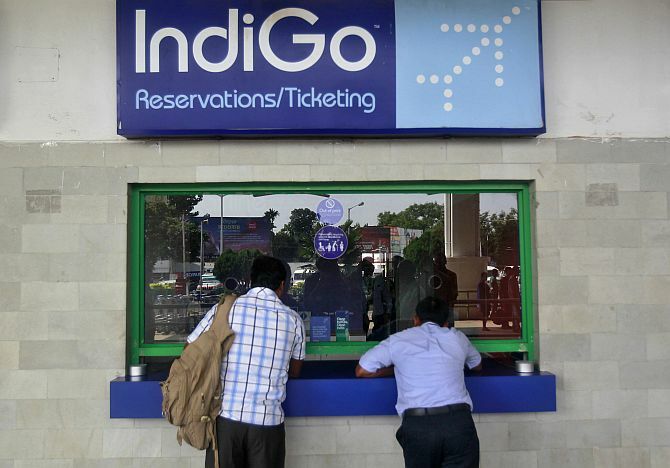 IndiGo entering into regional grassroots connectivity was something it should have contemplated many moons ago after the demise of Vayudoot in the 1990s and the gradual withdrawal of Jet Airways from its ATR service. Going regional today, especially when smaller towns demand greater connection to regional business and leisure centres, makes practical and revenue sense. Besides, today we are also living in an environment where most travellers are millennials and those that fall in the bracket of 20 to 35 years; so clearly this is the way to go. The other tier-I sees IndiGo venturing into what's known as micro-grassroots where they utilize even smaller aircraft to connect villages, small towns up in the mountains and cities that even today remain extremely isolated and it takes nothing less than 12 hours to reach there by road. Which would be one Indian airline group that could challenge Indigo's leadership in the future? The company that practically invented commercial aviation in India and continues to have aspirations in the market -- TATA. I would like to believe that there will be a return of the Tatas in full-blown aviation and there will be a time when Air India will get the right leadership, government decisions and strategic focus. So till then, I don't see anyone except IndiGo being the most formidable transportation disrupter in the region. For the moment, India is IndiGo's territory and they command the transport mind share. 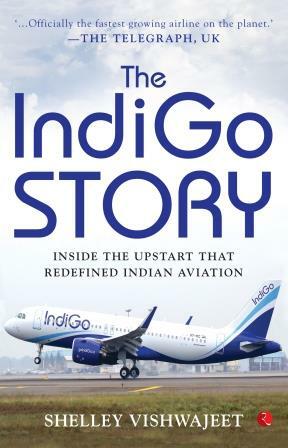 Excerpted from: The Indigo Story: Inside The Upstart That Redefined Indian Aviation by Shelley Vishwajeet, Rupa Publications, with the publisher's kind permission.